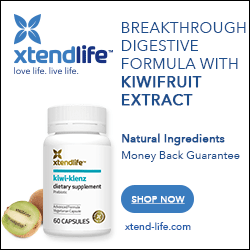 Home » Dieting » This Just In: Beer for Fitness Fanatics! I have to keep pinching myself. Looks like there IS a Santa Claus! High Protein Beer: Another Excuse for Drinking! I don’t get excited by much these days, but I have to say I was pretty stoked to see these two unique offerings from Supplemental Brewing; Brewtein, a tasty wheat ale with 7g of protein, and NutriBeer, a refreshing light lager with 4g of protein. 4 grams protein, 7 grams of carbs. Is That a Lot of Protein? 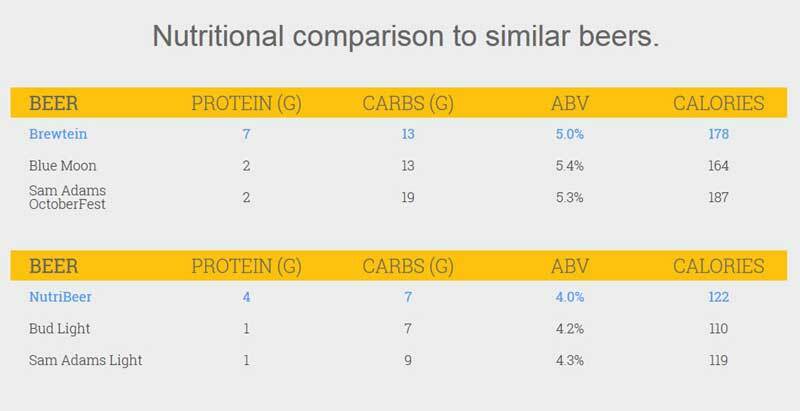 To put things in perspective, you really need to see how much protein regular beer contains. I have to keep pinching myself. I still can’t believe it! 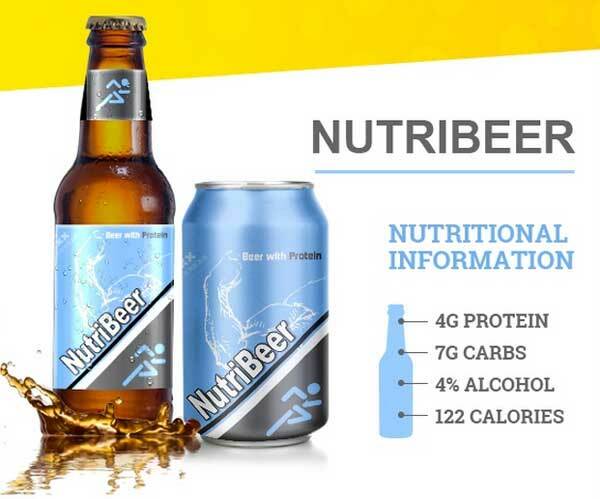 As you can see, the light beer (Nutribeer) contains 4 times as much protein as regular light beers, and the “regular” Brewtein, contains 3.5 times as much. Of course, this doesn’t mean you should pound back 5 Brewteins instead of your post-workout shake. 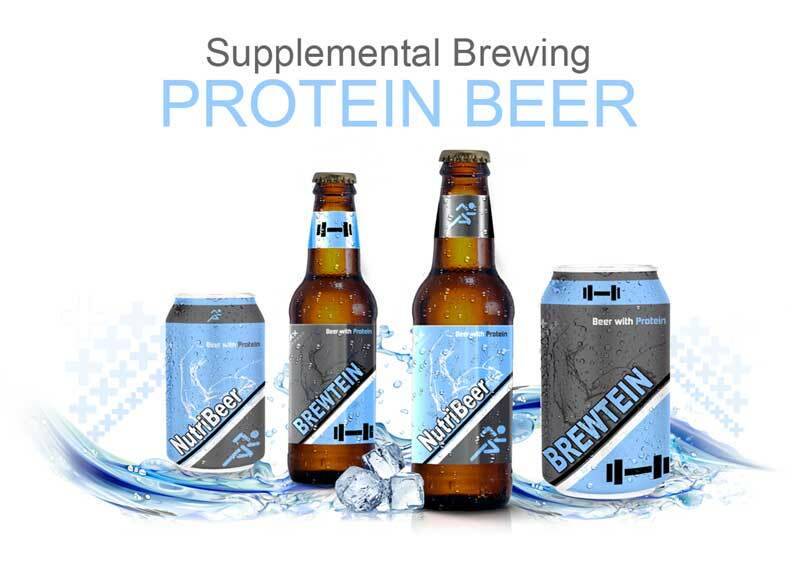 It does mean, however, that your beer can now be factored into your daily protein requirements. High Protein Beer: It’s What’s for Breakfast! Trust me when I say this, Blake. In fact, I think can speak for all of us. Now, we don’t have to choose. P.S. Supplemental Brewing just launched their KickStarter campaign. If you want to get in on the action, you can chip in here! But what do these brews taste like? Personally, I’m a big fan of our Pacific Northwest microbrews, so if these resemble more conventional beers (e.g. Coors; Miller), it’s gonna take more than a few grams of added protein to win me over.